Le Meridien Dubai Hotel is the place to be this September and October! If you’re looking for unique themed nights, flavours from around the world and unbeatable deals on food and drink in Dubai, we think we’ve found the perfect spot for you. Whether you want to enjoy a family meal, a classic Friday brunch complete with party vibe and free flowing drinks, or al fresco dining in the heart of Dubai, Le Meridien Dubai Hotel & Conference Centre has it all. Throughout September and October, the renowned Dubai hotel have plenty of new food experiences to try, offering food beverage deals you won’t want to miss. 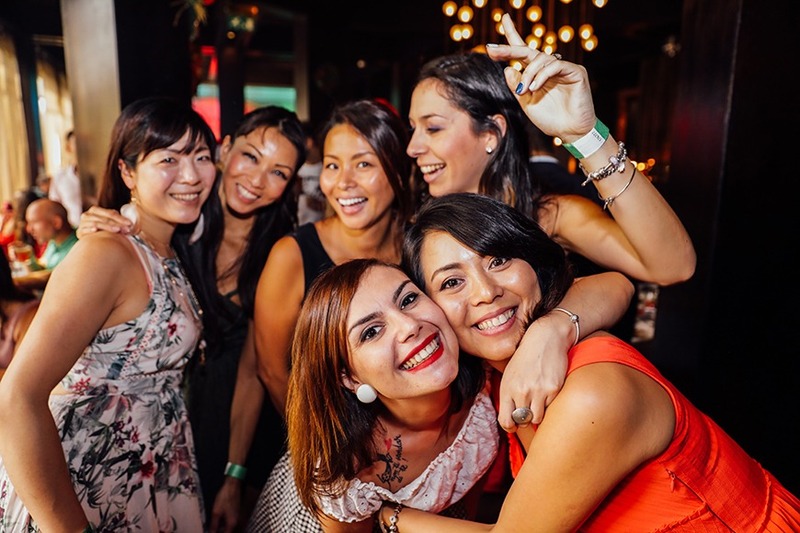 From Saturday Family Blunch to Queens Land Ladies Night and All You Can Eat Dim Sum, Le Meridien Dubai will keep entertained (and well fed) this autumn! For reservations simply tap ‘click to contact’ above and below. We have magically combined brunch & lunch to bring you a terrific Saturday! Capturing quality weekend time with your family is delightful. Whether a large party of dearest or just you and the kids. Saturday Blunch has everything you could possibly wish for! The perfect ladies’ night for throwing on your dress or jeans, Queens Land is a chilled and casual Australian themed evening at Yalumba with a lively vibe where ladies get 4 FREE drinks and 50% OFF the dinner buffet. Kick-off your weekend on Thursdays with the in-house DJ and join the crowd on the dancefloor. Australian themed dinner featuring the region’s best picks. This city-centre haunt is startling to describe - part bar, part indoors and part outdoors! With the added extra of the interactive visual experience with our Chefs by the BBQ live cooking stations, as they slice, dice or “shuck” the beef infront of your eyes, this night has the wow factor! With ONLY AED99, it’s the perfect dinner spot for those who don’t want to drop half their week’s pay check on a round of drinks and a bite to eat. With ONLY AED119 for unlimited Dim Sum, we’re calling all Dim Sum lovers, indulge in a wide variety of all-you-can-eat Dim Sum masterfully handcrafted by Chef George, complemented with Chinese tea and nin-alcoholic beverages. 25% discount on Tsingtao beer! Join us for the freshly re-buzzed and reimagined Hive Brunch at Warehouse lounge. Check out our creative beverages’ stations, liquid motorbikes, creating your own drinks, speakeasy bar, spiked ice cream and a lot more with DJ Tim Cheddar setting the ambiance. Cruise through amazing live cooking stations reflecting cuisines from all around the world. Enjoy a diverse spread including seafood, Asian, Arabic and international delicacies over magnificent views of the pool. The brunch offers a delicious international buffet with free-flowing drinks stations and live entertainment! Come and experience a unique al fresco culinary offering in the heart of Dubai! Feast on flame grilled specialties and unique global flavours in our secret garden sanctuary with The ‘X-Grooves’ Band setting the mood. Date: Daily, from end of September- newly launching theme nights to be revealed soon! Keep tuned!